How many of your photographs are you not enjoying because they are lost in dust-covered shoe boxes under the bed? Trapped in those cardboard containers are snapshots from family reunions, birthday parties, weddings, vacations, and, sometimes most importantly, the simple moments in life. They might be stored away but that doesn't mean they're not deteriorating--colors can fade and shift over time. No longer do family members need to argue over who has the family photos. 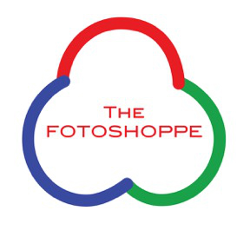 Fotoshoppe’s Scanning service is your solution. We use a special high-speed high-resolution scanner to provide quality scans of your photographs. The scanned images are then saved to CD or DVD. Your photographs are then protected from the ravages of time, weather, crayons, humidity and poor storage conditions*. The good news is that The Fotoshoppe can help rescue and revive those treasures from the days! We have the gather box. Pick the service you want done fill the box and we do the rest! We scan, we transfer, we get your memories if a format you can enjoy today and can be cherished for a lifetime! Our gather boxes save you time, money and memories! Scanning slides is an expensive, time-consuming endeavor. Instead of buying expensive equipment only to spend hours and hours using it, let The Fotoshoppe do the work for you. It all starts with bring them in so we can scan them for you!